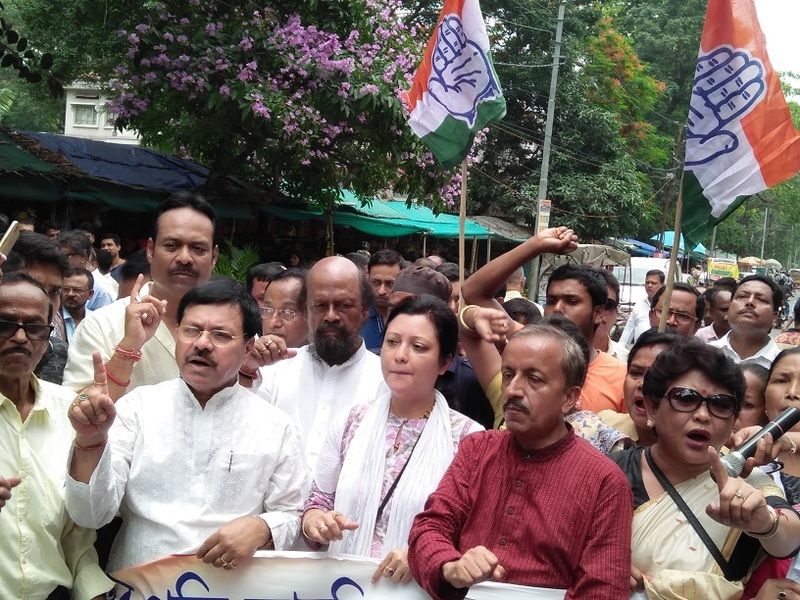 While most of the political parties and organizations opposed implementation of the citizenship bill across the State, Guwahati City District Congress Committee activists demanded the BJP-led Central Government to withdraw the Bill during a protest rally in Guwahati on Wednesday. 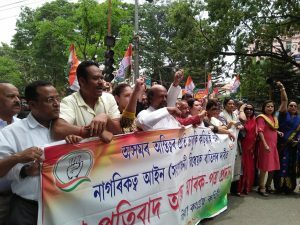 Former Minister and senior Congress leader Akon Bora; Bobbeeta Sharma, Mahila Pradesh Congress secretary; Hiranmoyi Phukan, Juri Sarma Bordoloi along with many Congress activists joined the protest rally. Youth wing of the committee also joined the protest rally against the Bill. Akon Bora demanded the BJP-led Central government to withdraw the Citizenship (Amendment) Bill, 2016 immediately. Bora urged the Government to provide citizenship on the basis of the historical Assam Accord. The Guwahati City District Congress Committee also submitted a memorandum demanding withdrawal of the Bill before the Additional Deputy Commissioner in Guwahati. It may be mentioned that the Guwahati City District Congress Committee launched a mass signature campaign in protest against the Central Government’s move to implement the Citizenship (Amendment) Bill 2016 in Guwahati on May 13. While the Citizenship (Amendment) Bill 2016 faced a massive protest in Brahmaputra Valley during Joint Parliamentary Committee’s (JPC) public hearing on May 7, 2018, the Bill received huge support in Barak Valley during the JPC’s public hearing on the Bill on May 8 and 9, 2018. Assam Pradesh Congress Committee (APCC) has launched a mass signature campaign to accumulate views of the common people residing in remote areas of State in protest against the Bill on May 14, 2018 which will continue till May 24.